If you're just getting started or a scholar in your field, the library has resources and services for a successful research process. Find and access databases, research guides, subject experts in your domain. In case you ever hit a roadblock doing your research, we have created some tools that will help you help yourself to get back on track. Be more productive and find tools and services that can help you increase efficiency and effectiveness of your research practices from the pre-publishing stage of managing your citations to the post publishing stage of managing your creative works and making them available to the world we can help. 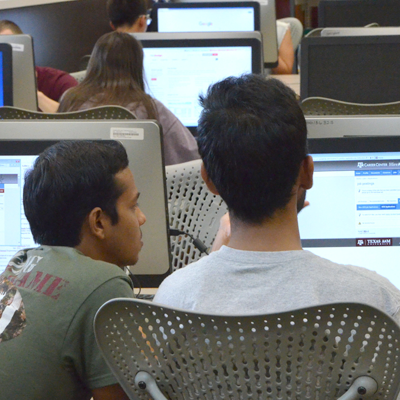 Your gifts support the University Libraries as they strive to make positive impacts on the research needs of the Texas A&M community and beyond. You may express your support with a gift or by joining the Friends of Sterling C. Evans Library.